The inlet was initially called Mosquito Inlet and the first lighthouse was built in 1834. In October 1835 a severe storm struck the area, washed away the keeper’s home and undercut the undercut the tower’s foundation. 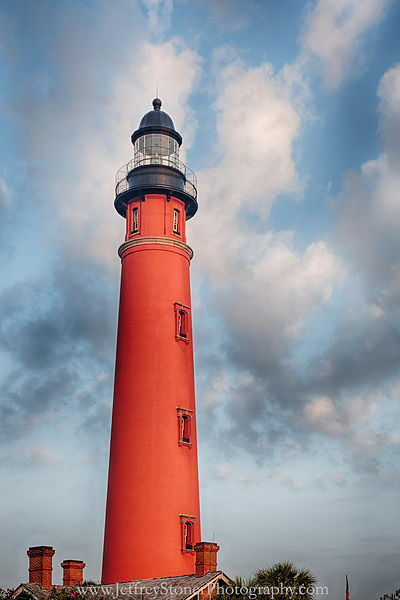 The Second Seminole War began and in December 1835 Seminole Indians attacked the lighthouse, smashed the glass in the lantern room and set fire to its wooden stairs. The war prevented repairs from being made to the tower and it collapsed the next year. .The current lighthouse was built in 1887 with one million bricks used to construct the 175’ tower. 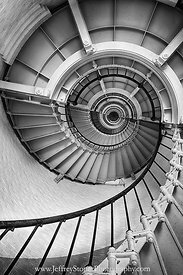 In the United States only North Carolina’s Cape Hatteras lighthouse is taller..In 1896 the lighthouse played a part in saving one of America’s foremost writers. Stephen Crane (The Red Badge of Courage) was traveling to Cuba aboard the S. S. Commodore when a gale struck and the ship sunk. Crane, the captain and two crewmembers made it onto a lifeboat. They spotted the lighthouse in the distance but it took them twenty-seven hours of rowing and bailing to make it through the stormy seas only to have their boat capsize and have to swim to shore..This ordeal was the basis for his short story – “The Open Boat”. .